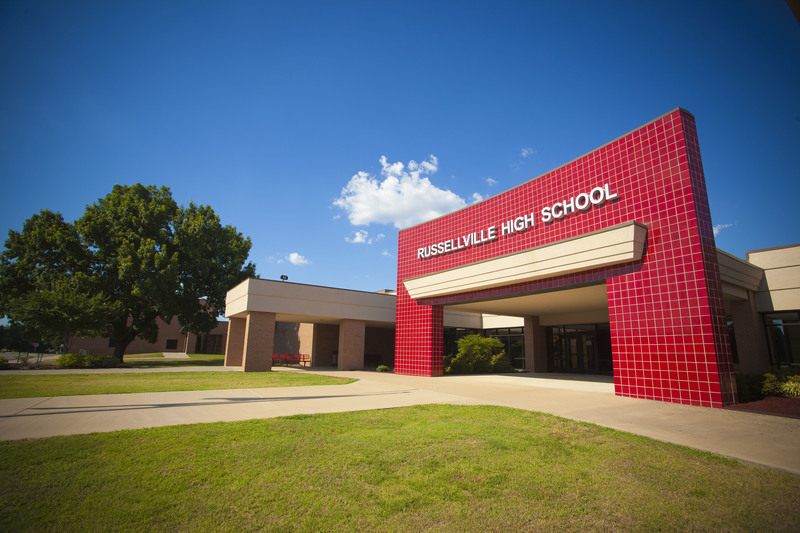 Russellville High School, home the Crimson Cyclones, serves approximately 1,100 students in grades 10-12. RHS has four full-time administrators, three counselors, one resource officer, and 74 teachers. We are fully committed to providing our students with a personalized and exemplary education, and we take pride in helping each student reach his/her goals. At RHS, we take pride in our exemplary academic programs with over 120 course offerings, including Project Lead the Way Engineering, Biomedical, and Computer Science, 21 Advanced Placement courses, concurrent credit offerings, and an outstanding Career and Technical Education (CTE) program. We have a focus on helping students explore and discover their career interests, and we offer over 20 distinct career pathways that have a sequence of courses leading to CTE completer status. Our CTE courses also afford students the opportunity for paid internships and industry-recognized certifications. For our students interested in exploring education as a profession, we have a Teacher Cadet class taught by a former Arkansas Teacher of the Year. This concurrent credit class provides students with relevant field experience in K-12 classrooms. We take great pride in our newest offering at RHS, a Junior ROTC program staffed by Army Major Todd Gray and Master Sergeant Jefferson Stinson. This program will provide students with hands-on leadership training with a focus on citizenship and work ethic. At RHS, our students and teachers have state-of-the-art technology accessibility, with each teacher and student having a Lenova Yoga 11e, which is a laptop and tablet hybrid, for an interactive classroom environment. The students are able to take the devices home with them each day and the district purchased Internet hotspots for students without Internet service at home. Students received the devices at the beginning of the school year and programs needed for their classes were loaded onto the device and ready for use on the first day of school. A Student Technology Help Desk was created so that students are available each period to help trouble shoot the devices or to help students with any technology needs. The goal of the program is to be student centered by providing better communication between teachers and students and more collaboration within the classroom environment. In addition to our outstanding academic and award-winning sports programs at RHS, we also have a focus on developing student leadership through our diverse clubs, organizations, and extra-curricular programs. In 2016 and 2017, we were the 6A State Quiz Bowl Champions, and many of our clubs compete regularly at National events. Our Interact organization is a subsidiary of Rotary International and is a very active organization on the RHS campus and past winner of the international Rotary Presidential Citation. Our community-based Renaissance program provides students with many leadership, community service, and scholarship opportunities. In 2007, the Russellville community supported our school district by passing a 6.9 mil tax increase which raised the district total millage to 40.8 mils. The millage allowed the district to make approximately $42 million dollars’ worth of improvements to facilities and programs, including a 130,000 square foot Center for the Arts which has seating for close to 1900 guests. The Center is home to our award-winning Cyclone Theatre program and our cannot-be-matched choir and band programs. The Center allows us the opportunity to host more than 80 events each year, including top entertainers and touring groups such as Third Day, Casting Crowns, The Swon Brothers, Mickey Gilley, Tanya Tucker and several military bands including the US Army Field Band and the US Air Force Band. In addition, The Center has presented wonderful musicals including Beauty and the Beast, Shrek, Wizard of Oz, Little Women and more. Also on the RHS campus is Cyclone Arena, which was completed in the fall of 2015. It is home to the Lady Cyclone volleyball team and to the high school girls and boys basketball teams. The Arena has a seating capacity of over 2300. 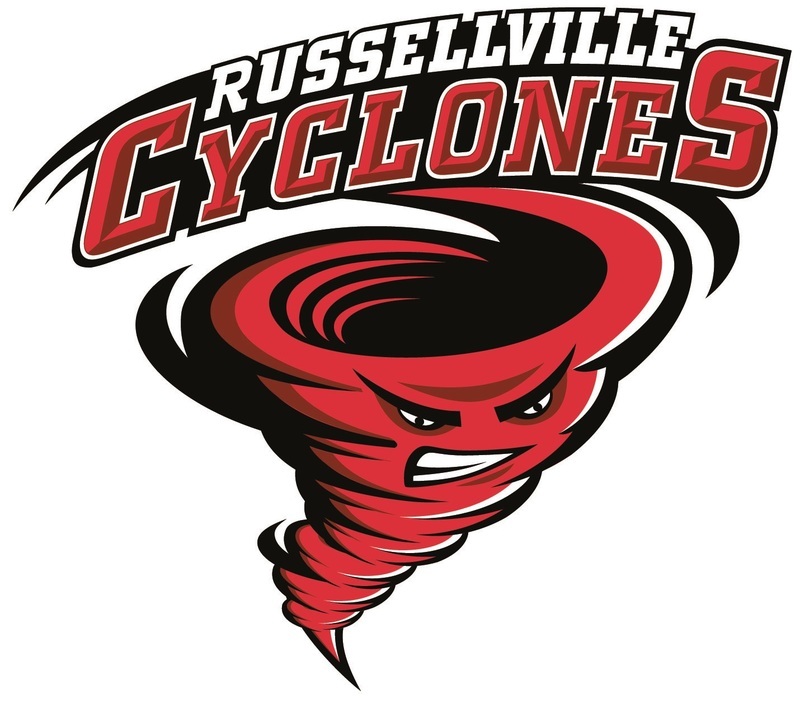 Over the past two years, Cyclone Arena has hosted the 6A state basketball championship, Hoops for Hunger basketball tournament, Central Arkansas Jr High Basketball tournament, two state junior wrestling tournaments and two Russellville Chamber of Commerce banquets. Please contact us with any questions you might have about Russellville High School. Thy halls of learning ever dear shall be. An inspiration to our lives shall be. Oh Red and Black, we’re here to do or die for thee. Our Alma Mater, worthy of our loyalty.